As much as it might come as a surprise, I was browsing fruit on the Ocado website. I normally thoroughly check crisps, chocolate and biscuits, but this time I focused on fruit. I spotted these interesting sounding Kiwi Berries and thought I would give them a try. They are from a plant known as the Hardy Kiwi and although similar are not just baby kiwis. 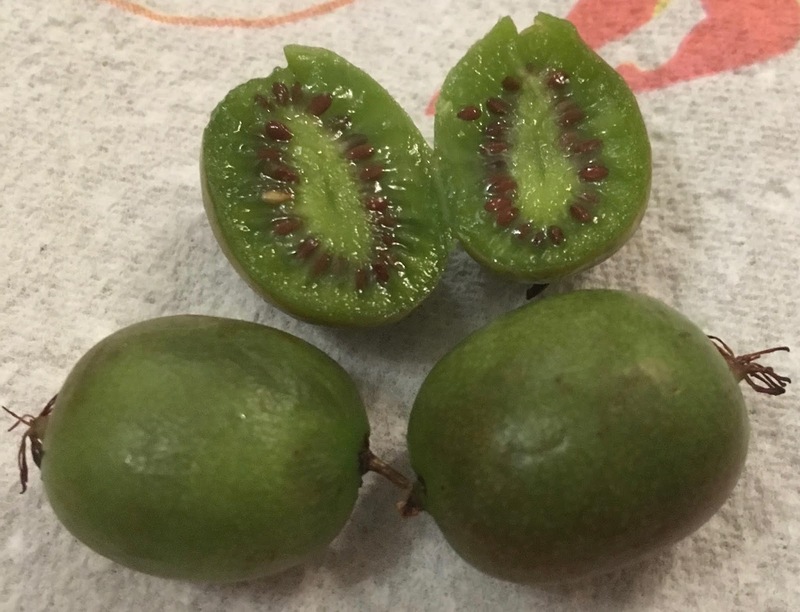 I took some out the tub and of course after I washed them I had to cut one in half to see what they look like, and they really do look like mini kiwi fruit. So the next question is should you top and tail the bits on the end? I know you can eat the skin, but I ended up pinching the top and bottom off as they looked a little unappetising. 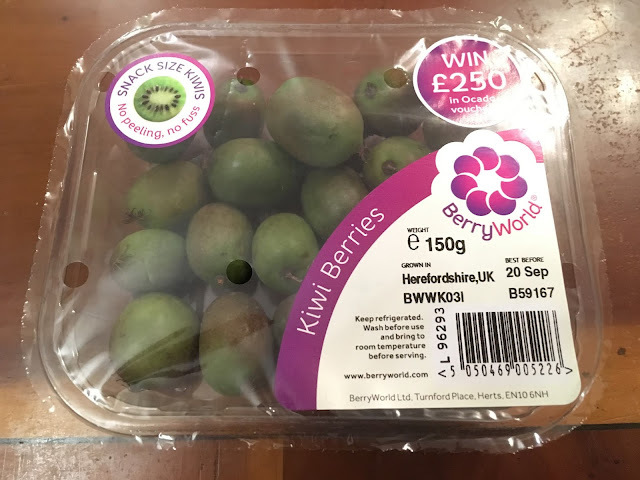 Flavour wise these were very much like a kiwi fruit, subtle sweetness with hint of melon and citrus. They varied in sweetness, but each one had the same problem, a bitter skin. It isn’t textured, so the consistency isn’t an issue. The whole point of the Kiwi Berries is that you can eat the skin, but to be honest this was the least tasty part, but I’m not peeling them. In conclusion it is nice to try a new fruit, but it isn’t one I’ll be buying again. I've had these, I pinched the top and bottom bits off because they looked like tiny spiders! But I usually eat the skin on regular kiwis, I just give it a good scrub first.